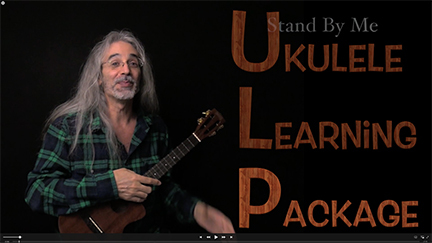 Your Ukulele Learning Package of "Stand By Me" includes an instructional video that you can download and keep; Bartt explains how to play "Stand By Me" in detail. You also get a complete score in notation and tablature for ukulele, bass and piano. And you get two audio files to play along with: Bartt playing the entire thing, and another version with the ukulele removed, so you can play along karaoke-style.